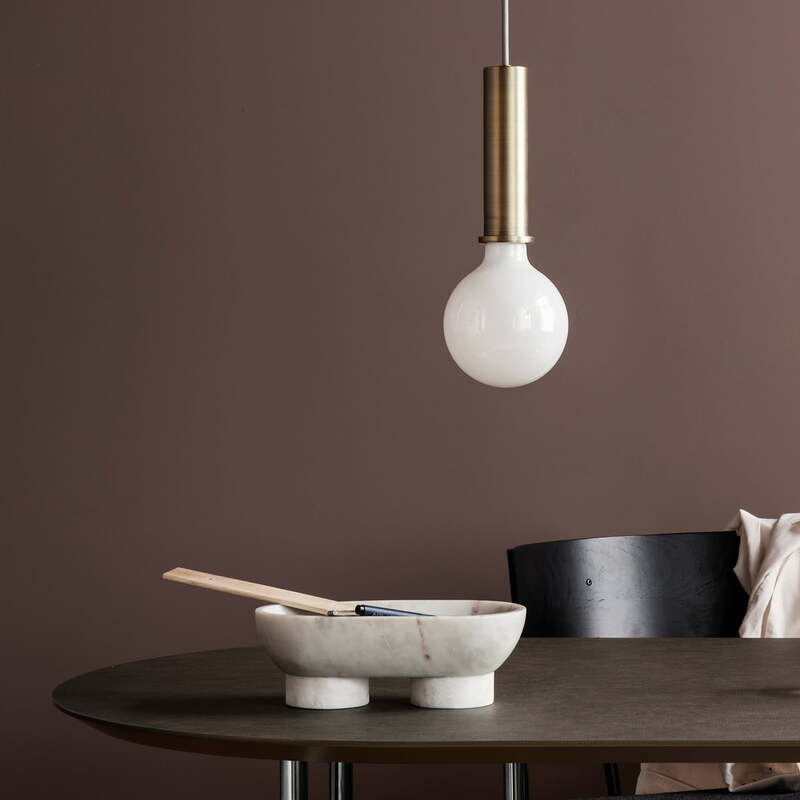 The Alza bowl from ferm Living reinterprets the classic shape of the bowl. Its elongated shape and the two feet make the bowl a decorative accessory in the living area. 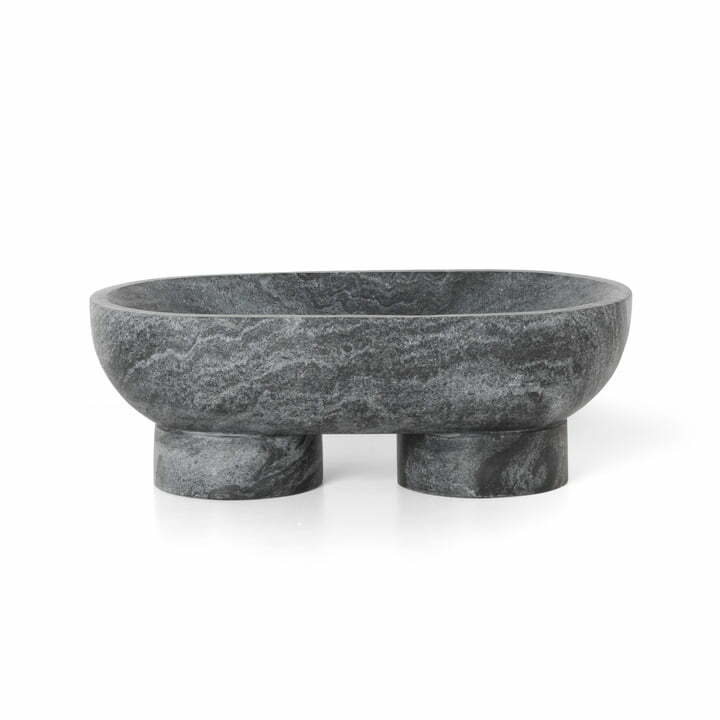 The bowl is made of black Selvaras marble from India or Indian Banswara marble in white. 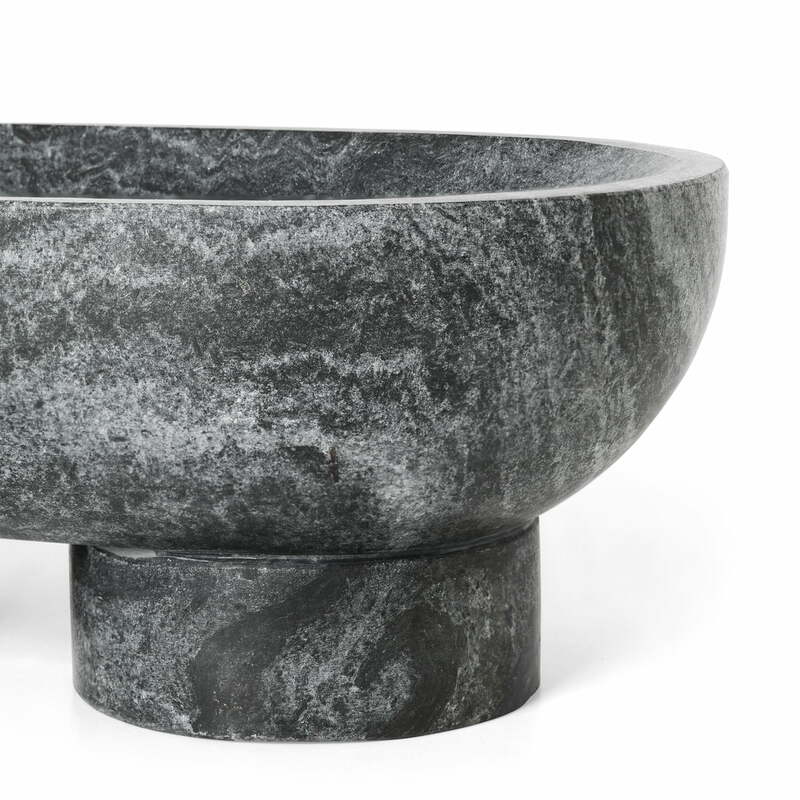 The material and the shape of the bowl combine heavy and light contrasts and create a marble bowl that is decorative in the kitchen or living room. 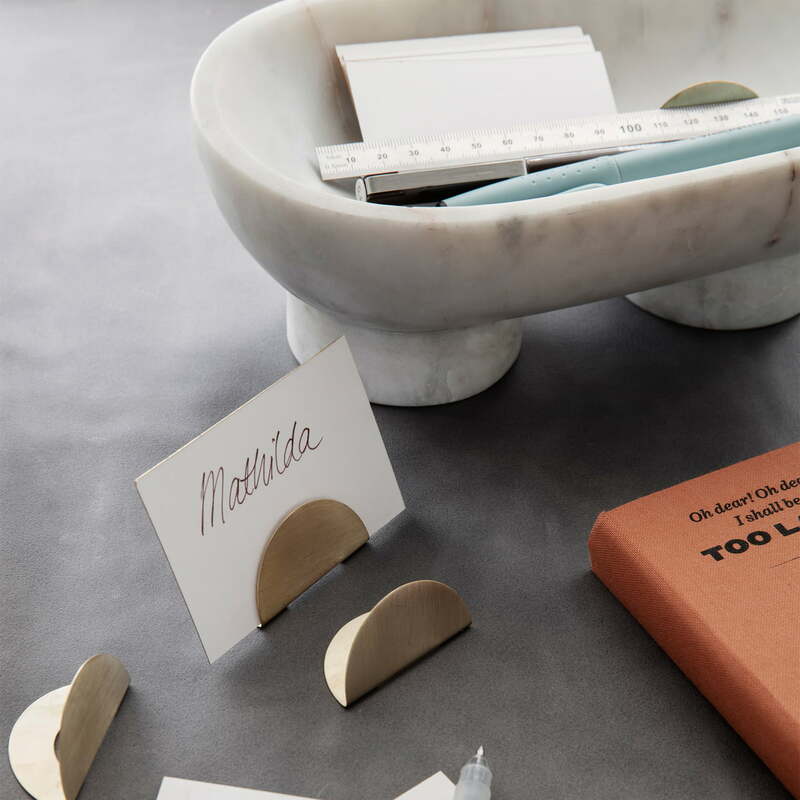 The bowl can be used to serve pastries or sweets or to decoratively store keys and paperclips. 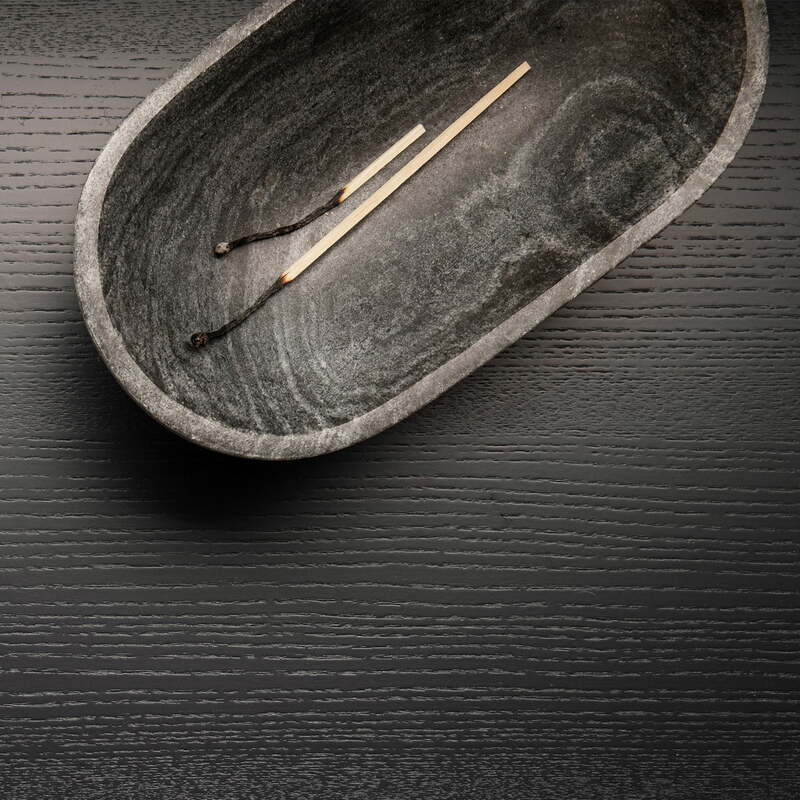 Isolated product image of the Alza bowl from ferm Living in black marble. Used matches can cool down safely in the bowl before they end up in the waste bin. 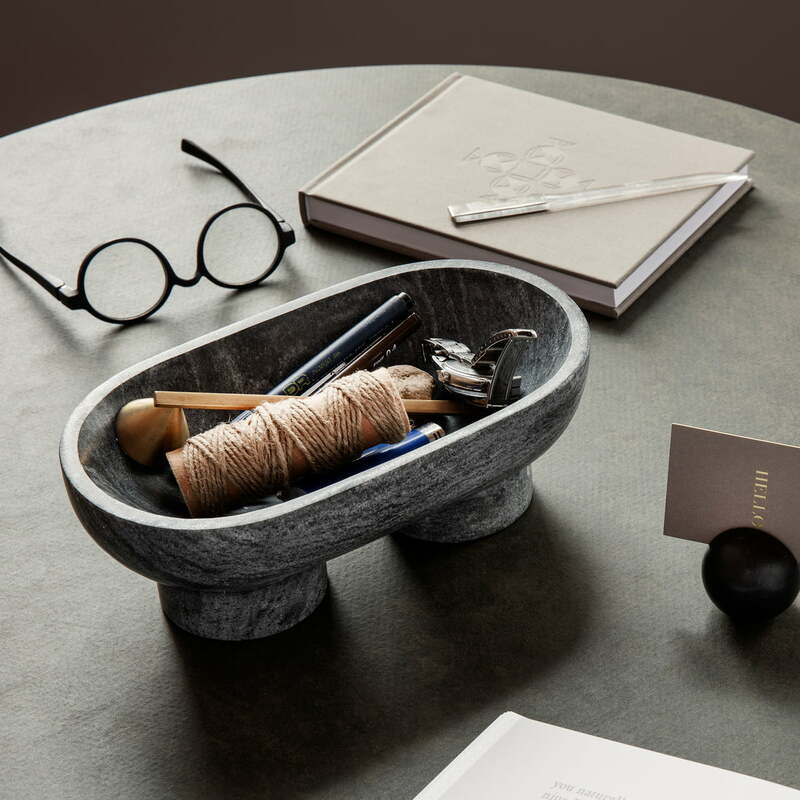 The Alza bowl from ferm Living reinterprets the classic shape of the bowl. Its elongated shape and the two feet make the bowl an eye-catcher in the living area.